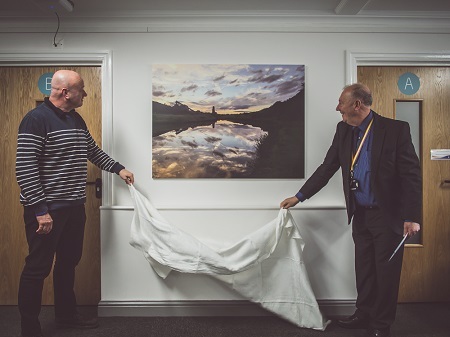 Atmospheric and recognisable images of Winsford now adorn the walls of Wyvern House Public Services Hub. The photographs capture well known views such as the pathway to Rilshaw Meadows and the salt mine beside the River Weaver. They were taken by the entrants to a photography competition run by Cheshire West and Chester Council to illustrate the town’s unique features and bring a familiar feel to Wyvern House. 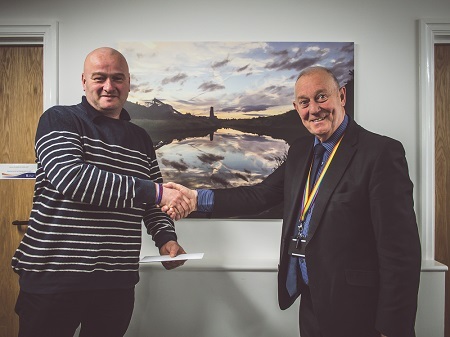 Roger Westwood, of Winsford, took the winning photograph, which shows the dramatic evening sky reflected in the River Weaver. Roger said: “I have taken photographs since I was about five years old when I got my first camera. “I use my phone nowadays to take photographs. It is a hobby but I don’t go hunting for specific pictures. If I am out walking my dog and see a nice view I take a picture with my phone. “I take pictures most mornings and evenings. I think a lot of people don’t know what is on the doorstep. Five minutes from Winsford town centre, there are lots of rivers and open spaces which people don’t know is there. “I have taken a photograph of that view on the winning photograph about twenty or thirty times before. On that day it was taken the water was flat and calm and a perfect picture. It looks naturally composed with the river flowing into it and the mine shaft in the background. “I'm really delighted to have my photo selected to be put up in the new Wyvern Hub. The vide variety of photos on display show the interesting scenery we have on our doorstep, if we get out and have a walk around. Councillor Brian Clarke, Cabinet Member for Economic Development and Infrastructure, said: “We would like to thank residents for taking part in this photograph competition. The entries were to a high standard and it was difficult to choose the best. Wyvern House is now home to Job Centre Plus, the Work Zone, Citizens Advice, Forfutures, Weaver Vale Housing Trust Employment Horizons team , Active Cheshire and Home Start who work alongside Council services making it easier for residents to get all the help they need in the one place.